Been away from the blog for awhile, as I'm not teaching a computer course this term and working on a couple of competitions - however, I recently attended the ACSA conference in New Orleans, Re-Building, to present a paper on student work in fabrication - from the course Arch 571: Digital Fabrication, conducted in 2008. 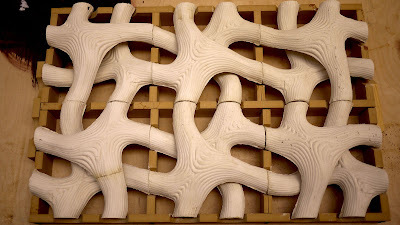 The projects focused on parametrics and casting in the production of full scale cast units. A copy of the paper can be downloaded through this link. Above are few images of the completed projects. I also recently received a development grant from the University of Michigan to conduct further research in this area. 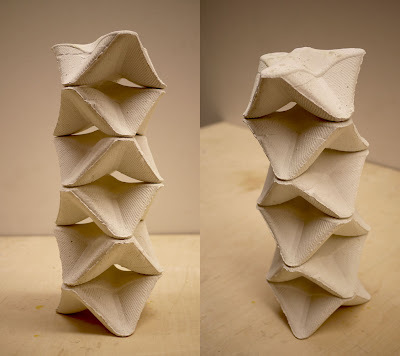 I'll be creating a full scale casting project over the next few months - and will post the developments and results.